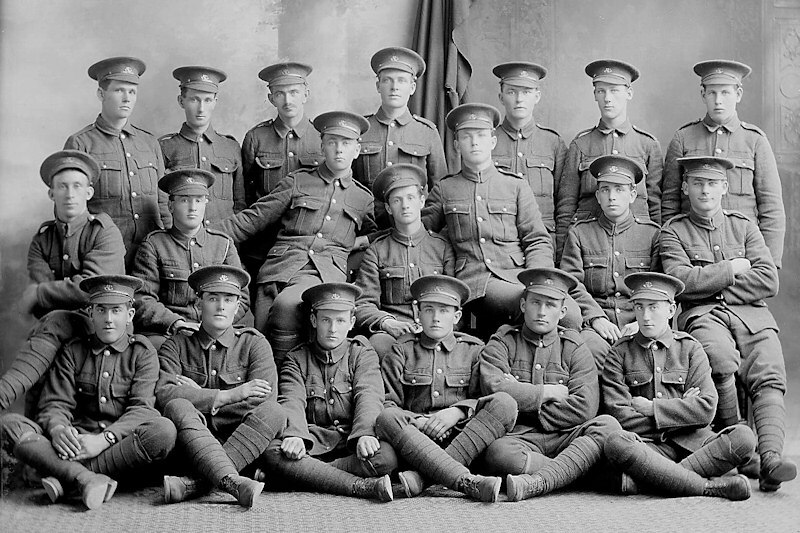 Photo of a group of WWI soldiers of the Royal Newfoundland Regiment. Bernard Payne, from Ramea, is fifth from the left in the front row. Does anyone recognize this photo or know the identity of the other men?